There really are no worse words that a homeowner can hear from his or her agent. Let's be honest. The first thing that comes to your mind is "why do I have homeowners insurance in the first place? What am I paying for year after year?" Granted, there are not a ton of instances where a homeowner's claim would not be covered. The big one that we are going to cover in this blog is Home Maintenance or Wear & Tear. What is a Wear & Tear Exclusion? A wear and tear exclusion states that the normal and expected deterioration of your house will not be covered by your policy. Wear and tear of your home is inevitable. Insurance is designed to protect against unexpected and unforseen losses. If insurance covered predictable losses like deterioration, then insurers would have to raise premiums significantly. Home insurance would be much more expensive than it is now to cover those expenses. Wear and tear exclusions are common. Your auto insurance policy does not cover the replacement of auto parts that deteriorate over time, such as brake pads, timing belts, and water pumps. Auto insurance policies cover unpredictable events such as collisions. To cover for predictable losses such as wear and tear, owners can self-insure by setting aside money each month. Home insurance is designed to help the homeowner manage the financial risk from damage that is beyond your control. Sometimes, things go wrong in ways you cannot control - lightning strikes your house or a healthy tree falls on your house. You can't control these things happening, but you can control the financial damage they incur by purchasing homeowners insurance. This is NOT wear and tear damage. Wooden floors scuffed or chipped. Roof shingles loosening and falling off. This list is not anywhere near exhaustive. There are many maintenance items that one needs to perform on their home. Wear and tear can lead to expensive problems. Think of a window crack that lets in water that causes extensive mold growth. Homeowners insurance doesn't cover damage from wear and tear because part of the agreement between you and the insurance company is that you will keep your home in good working order. In other words, you will perform basic maintenance that will prevent any damage. Yes, there are many gray areas in between. One common question is "Does homeowners insurance cover roof leaks?" The answer: it depends. If the roof leak is caused by a covered peril, such a fire, wind, or hail, then the answer is yes. If the leak happened because you didn't make basic repairs to your roof or you didn't update it within a reasonable time frame, then the answer is no. Suppose the roof leak happened because shingles blew off in high winds. On one hand, wind is usually a covered peril. On the other hand, they blew off because you weren't diligent about maintaining them and haven't replaced shingles in 20 years, the insurance company could conceivably deny coverage for the resulting damage to your home. The list of maintenance projects that a homeowner can perform on his or her home would be extensive. This short list of items below only scratch the surface. Check the plumbing for leaks and freezing. Make sure gutters are free from debris and cracks and the drainage spouts point away from the house. Make sure any old trees or branches could potentially fall on your house. Check for insects around the house. Check for mold inside the house. If you notice an issue, report it. Don't wait on it. If you have water in your home, you noticed it three months ago, you ignored it and now you have mold, that will not help your claim. Mold is generally not covered under your homeowners policy. You are being a negligent homeowner by not fixing the problem. Use your insurance agent - which is Us! This is our job! Call us, ask questions, and we will help you start the claims process if needed. You purchased your home knowing that you would have to pay out-of-pocket to fix items or maintain them. Do it! 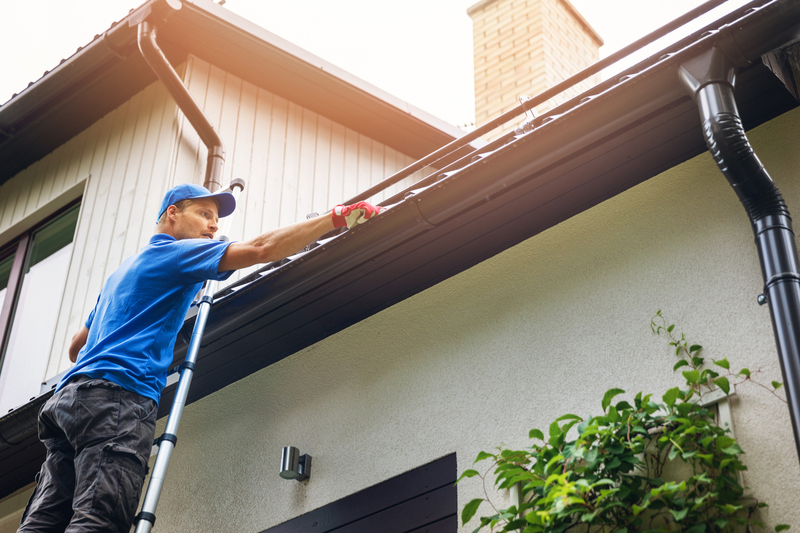 Just like homeowners insurance won't cover to the cost of painting your house, it also won't cover items that should be maintained by you, the homeowner. Does Homeowners Insurance Cover Ice Dam Damage and Removal? Dutchess County NY residents, at Pepe Insurance Agency, we work with you to make sure you have the coverage you need, while delivering it at the best price. Give us a call at (845) 724-3031 or fill out our Contact Us form to get in touch with an agent. We want to make sure you meet your insurance goals and protect what is most important to you!